I get it, Instagram has many different areas to explore and the app keeps expanding. If you’re just starting to learn your way around IG (that’s the nickname for you newbies), it’s important to understand all of the different Instagram icons so you know how to use the app properly. Let’s be honest, even seasoned Instagram pros need a refresher now and then. 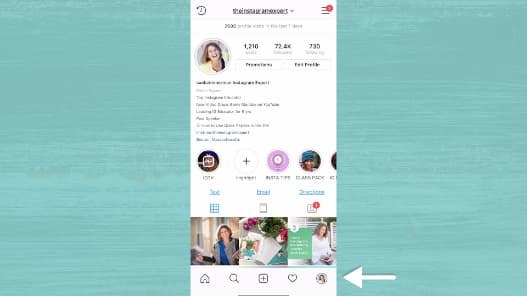 Whatever your Instagram experience level, having an understanding Instagram’s icons will help you navigate it like a pro. Let’s go! There are a few ways to navigate to your main feed, but the easiest way is to tap on the house icon. You can find it in the left corner of the navigation bar. 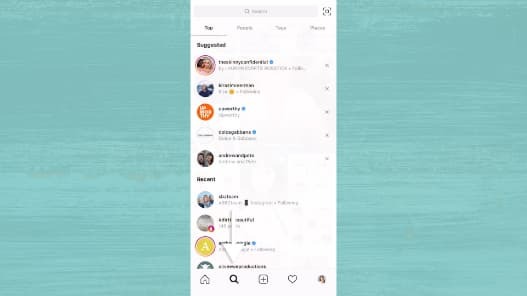 While you’re on exploring the main feed, you can also see active Instagram Stories at the top of the page. How does Instagram pick the order of the Stories you see? The algorithm determines which accounts you care about the most, that means the ones you engage with regularly, and shows those Stories first. Of course, if you’re building your business on Instagram you need to know how to conduct market research. Tap on the magnify glass, located next to the house icon, to search for content. When you tap on the search bar you’ll see that you can explore people, tags and places. You can also type in a keyword to see the top results. 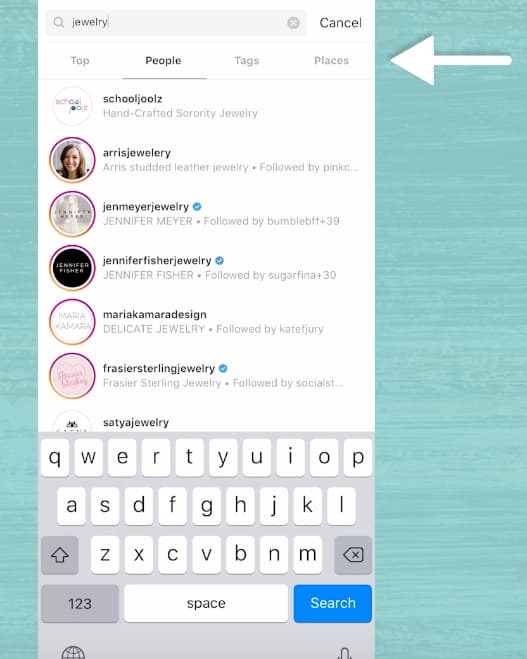 For example, if you are a jewelry designer you might start off by typing in the general term “jewelry.” Then, you can see the hashtag hub and the most relevant accounts based on your keyword search. As you explore different content, you’ll see other hashtags or keywords that might be relevant to your business. Now that you understand how to navigate to your main feed and search for content, it’s time to learn how to add a photo or video. All you have to do is tap the + sign with a square around it. Now, you can take a video or photo. You can also upload content from your camera roll. Just remember, videos on Instagram can be up to a minute. If you have a longer video, you might want to use the carousel feature to add up to 10 video clips. Stuck on content to share? Get out of your creative rut with these content strategies. Since you’re going to be sharing #InstaAwesome content, you need to know who’s liking and commenting on your posts. To see who’s engaging with you, just tap on the heart icon. Believe it or not, you can turn these “likes” and “comments” into solid business relationships. Have you noticed someone showing your content a lot of love? Or leaving interesting or thoughtful comments on your posts? Go ahead and give them a “like” on some of their Instagram content. Even better, respond to their comment on your post. I make time to do this after every post I share. 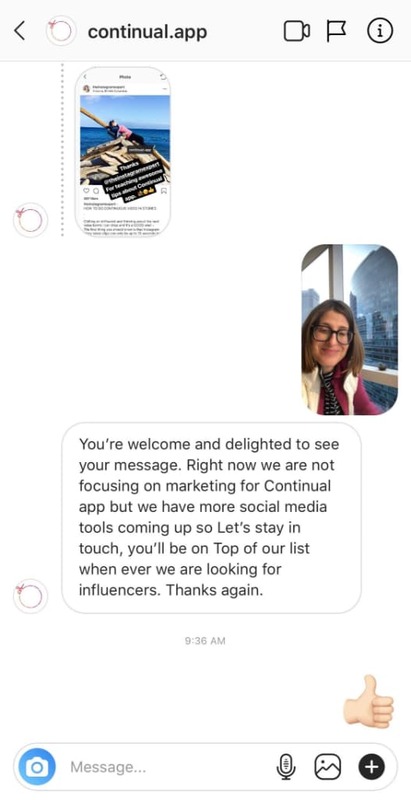 These small gestures show that you’re moving past vanity metrics and are interested in building real relationships with your followers. Want to pop over to your feed? Tap on your avatar in the bottom right corner. This is where you can see your feed, highlights and edit your profile. Not sure what the Instagram Highlights buzz is all about? I’ve got all the info you need in this Youtube video. Is your Instagram bio up-to-date? Does your avatar accurately reflect your brand? Is the photo clear? 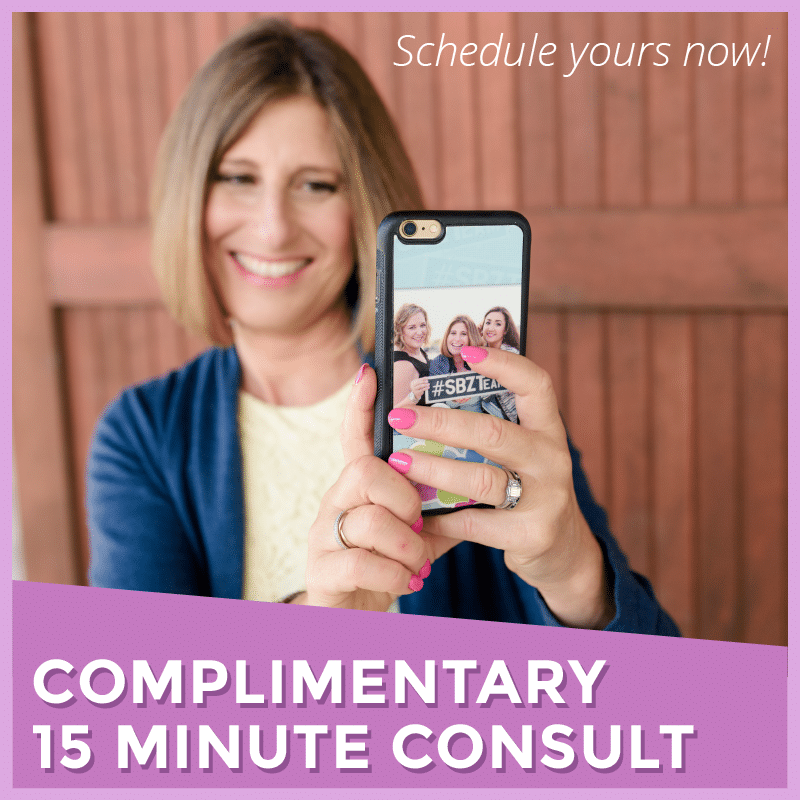 Do you need to update your Instagram bio link with a new promotion, event or blog post? When you’re ready to add photos or videos to your Instagram Story, tap on the camera icon in the top right corner. From there you can take a photo or slide right to record a hands free video. 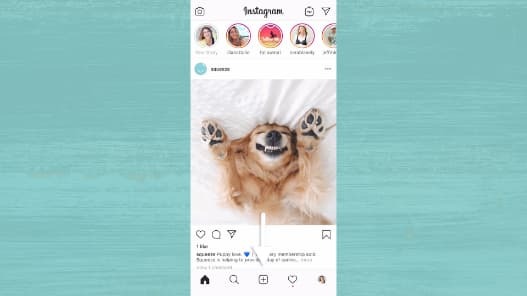 Unlike your main feed, Instagram Stories do not have to be as polished or pre-planned. 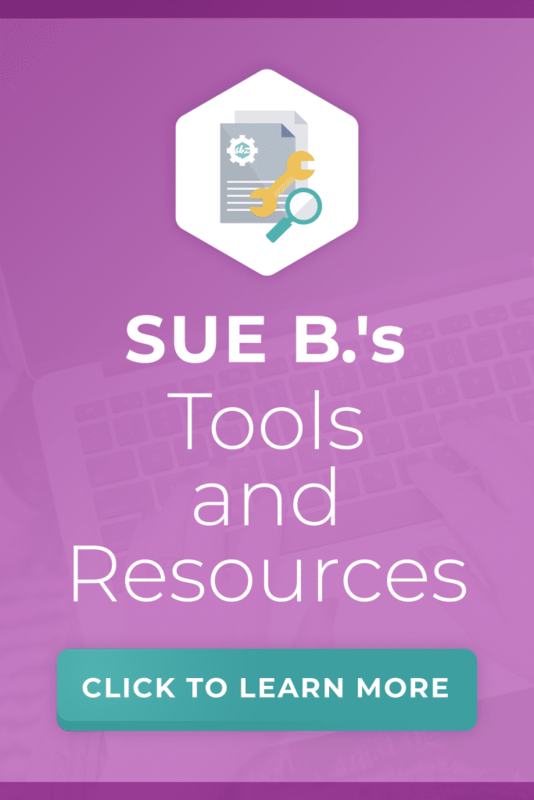 Even though there is a ton of room for creativity, you still need to have a content strategy. 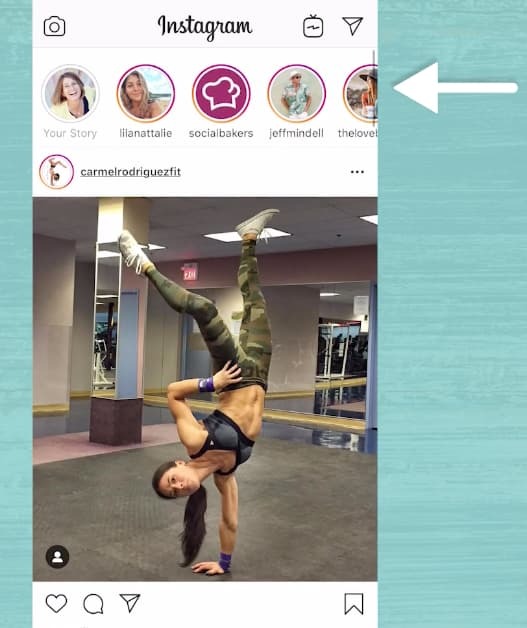 If you’re just starting to share Instagram Stories, or need a quick refresher, check out these Youtube videos on creating engaging Instagram Stories and scheduling Instagram Stories. I’ve said it before, but what happens in the direct message, also known as the DM, is golden. This is where you can turn quick engagements, likes and comments into meaningful customer relationships. To see your DMs, tap on the paper airplane icon in the top right corner. All of your unread messages will be in bold. You can also search for keywords to easily find older conversations. Of course, you don’t have to constantly monitor your DMs. But I do recommend keeping an eye on it after you share an Instagram Story, since this is where people’s responses end up, and during larger promotions or special sales. 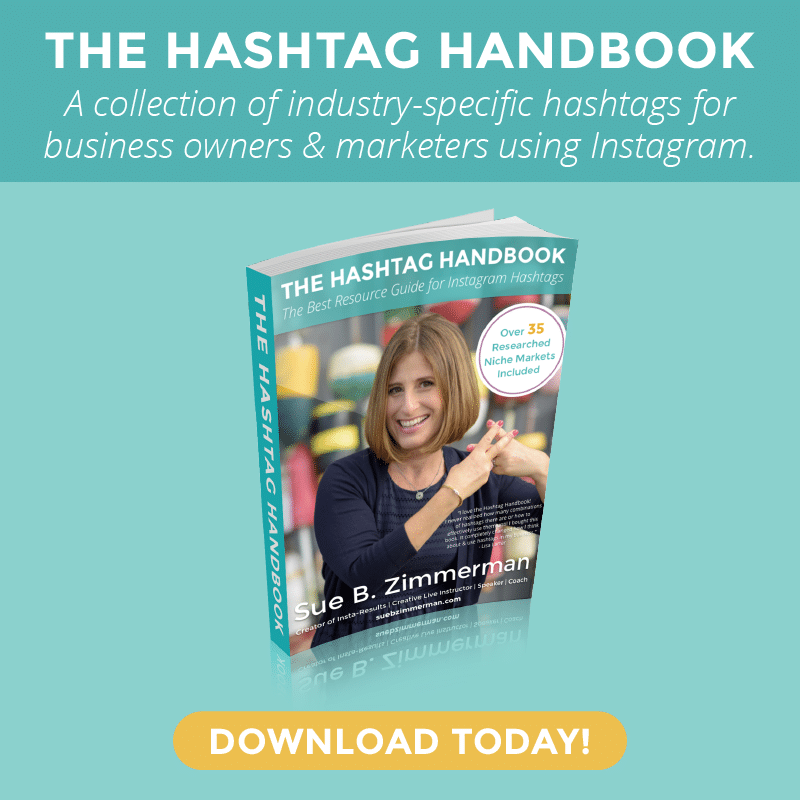 If you’re looking for more tips and strategies, download my free Instagram Strategy Guide. It has tons of advice that will help you build your confidence so you can grow your Instagram account.